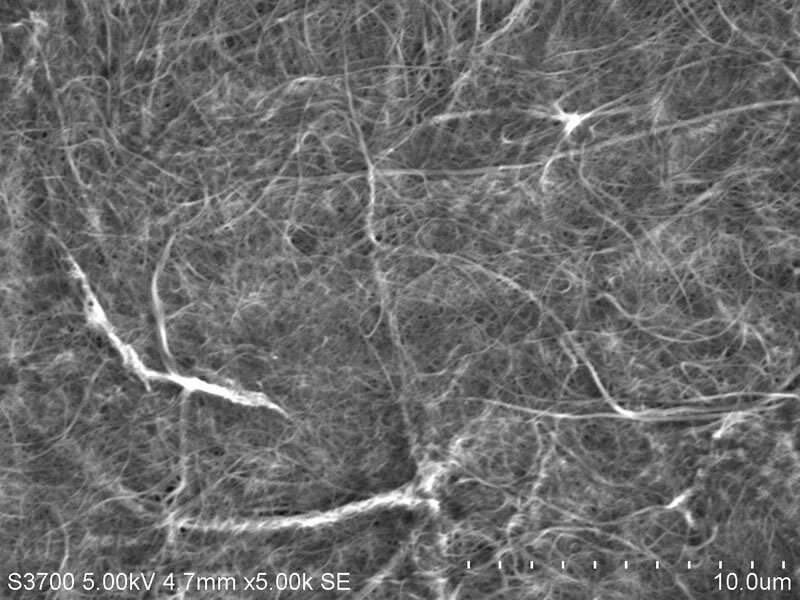 Using CNF(Cellulose Nanofibers) for Hybrid Diaphragm; CNF is a basic skeleton material of all plants and it weights 1/5 of but 5 times stronger than a steel, with a low Q, thus Less unnecessary resonance therefore a ideal material for diaphragm. Achieving an expending special sound on both high and low frequency. The center cabinet is wiped lacquer finish on maple wood; creates a comfortable reverberation; adding groove inside the cabinet to further reduce the standing wave and pursued sound with more spread. 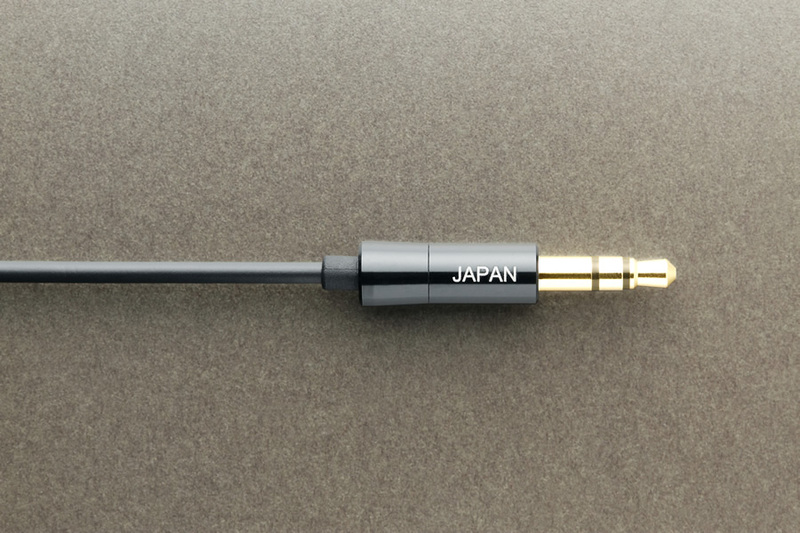 Applied lacquer wipe on the phase correction tube (Flat 4 – KAEDE Ⅲ black lacquer, Flat 4 – AKAKAEDE Ⅲ red lacquer,) to harmonize the sound of all the parts. 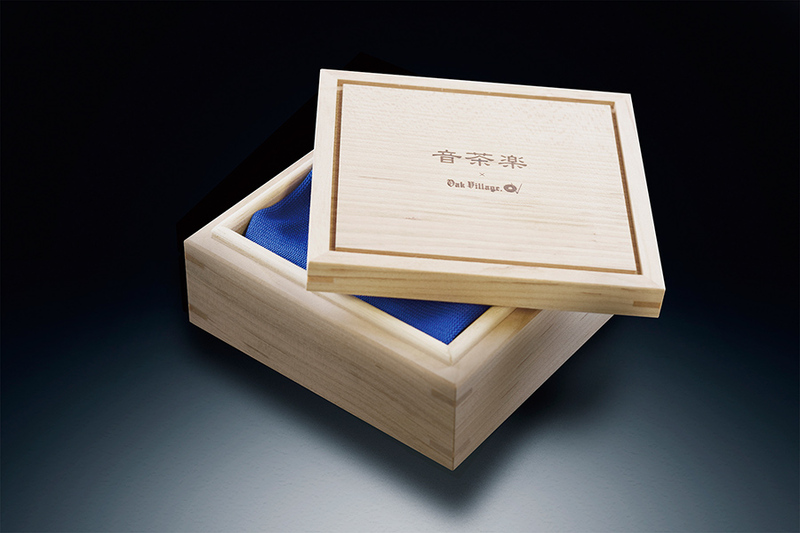 Each are carefully selected and finished by hands of Hida Takayama craftsmen. 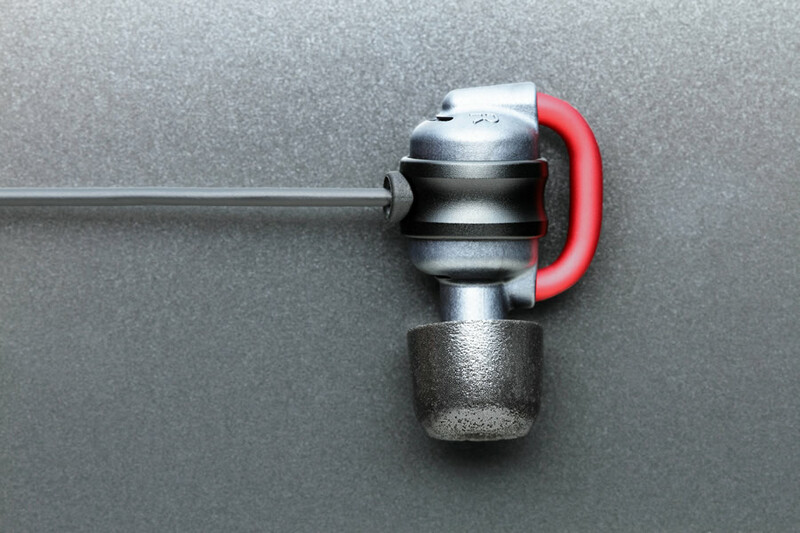 Balance type is with Nippon DICS Company’s Φ4.4mm 5-pole Pentaconn plug for a ultimate transmission; using the premium range gold plated non-oxidized copper for metal parts. 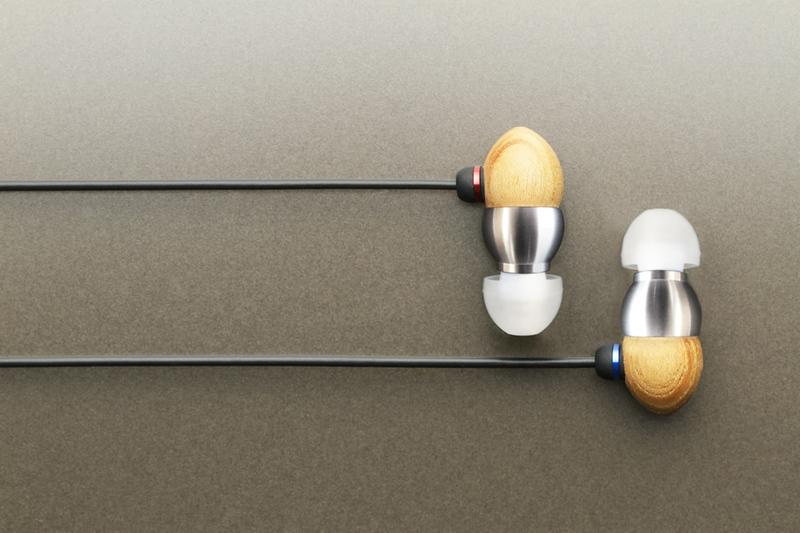 Balanced connection with high spec plug enhances the unique and beautiful resound of Maple wood. 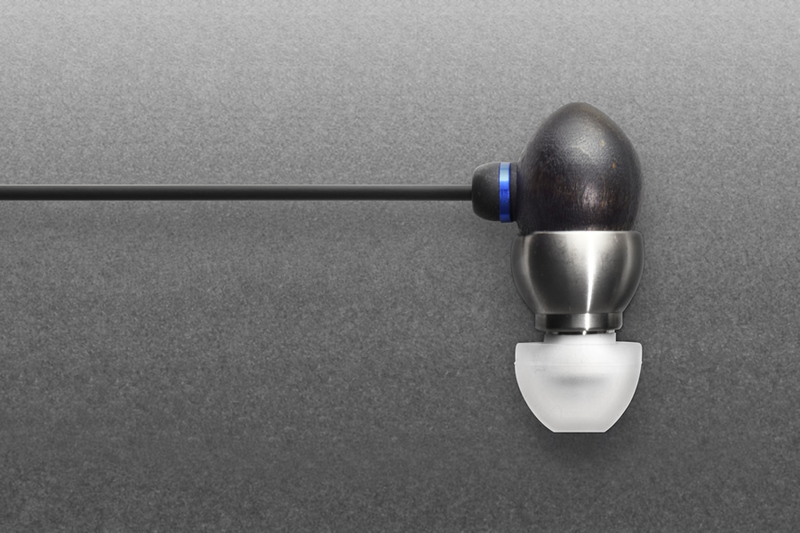 Our patented technology minimizes sound deterioration caused by “occluded ear canal resonate vibrate” and the first in world to clarify sound base point by horizontally face-to-face placed elements. 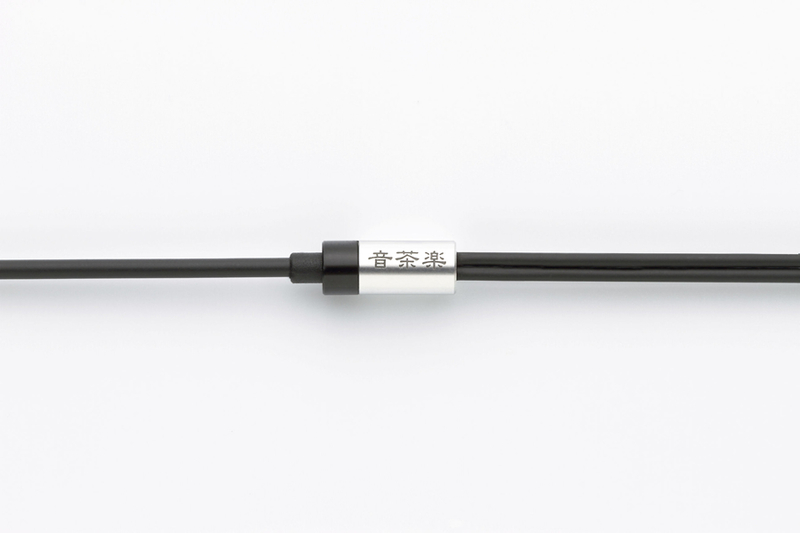 Phase correction tube is adopted for Acoustic circuit, designed to suppress sound deterioration factor caused by occluded ear canal; vibration around 6kHz.Sound quality could be improved by selecting suitable length type matching to individuals ear canal length.Flat4-KAEDEⅢ, for a standers ear canal length and Flat4-AKAKAEDEⅢ for longer ear canal length. Plays the slightest lingering sound with a delicate touch. Attached with Nippon DICS Company’s Φ4.4mm 5-pole Pentaconn plug for a ultimate transmission; using the premium range gold plated non-oxidized copper for metal parts. 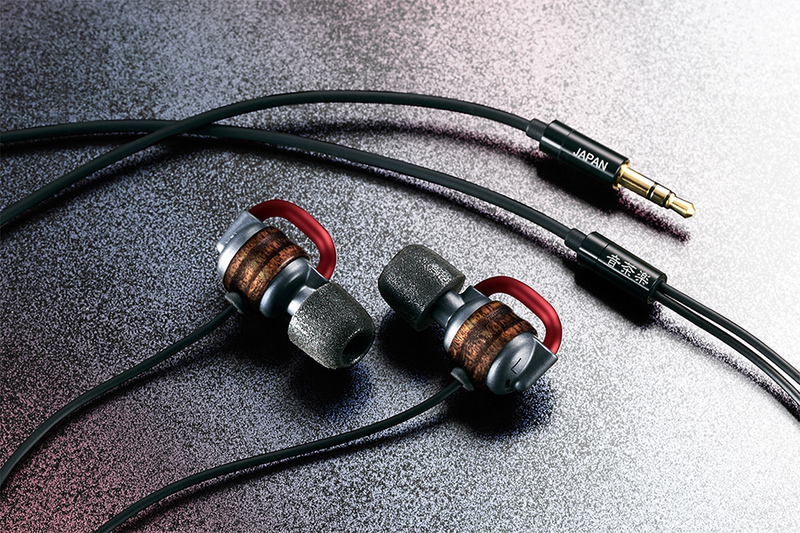 Balanced connection with high spec plug enhances the unique and soft resound of Japanese cherry wood. Cherry wood from the forest of Hida-Takayama is specially selected and used for center cabinet to enhance a fine and delicate resonance. Each pieces are handcrafted to a perfection and coated with natural raw lacquer. 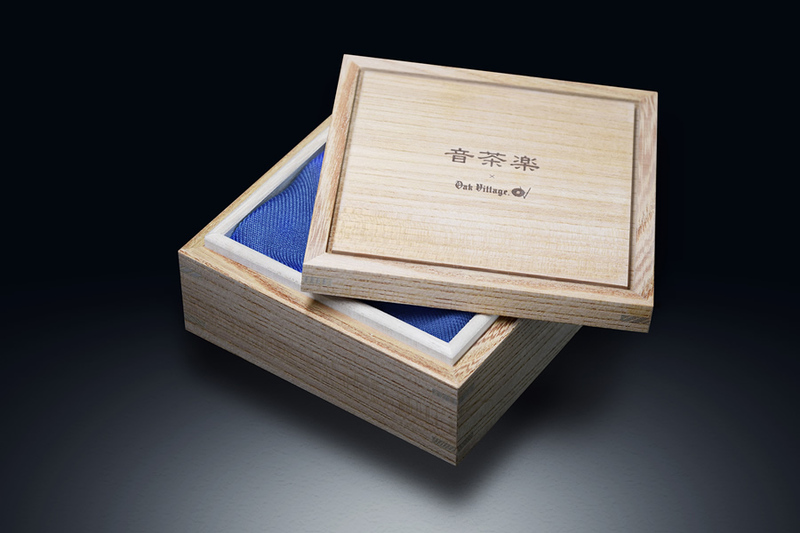 Raw lacquer extracted from lacquer tree; one of the most ideal natural over coat; solidifies the wood to an exceptional durability than any chemical over coats. Over time, by exposure to sun (UV) light, lacquer coat increases its translucence thus the wood grain becomes more distinguish. Visually and it’s sound will uniquely ages only in your way. Smoothest sound continuity from the deepest bass to highest treble are achieved by carefully adjusting every sound effective parts to its upmost compatibility with Wild Cherry timber. Flat4-SAKURA Balance and AKAZAKURA Balance had the most soft sound character among Flat4 series. Vibe-resist coating is applied on Phase adjustor tube to suppress the howling noise and minimizing sound deterioration to achieve warm and softer treble (higher register). 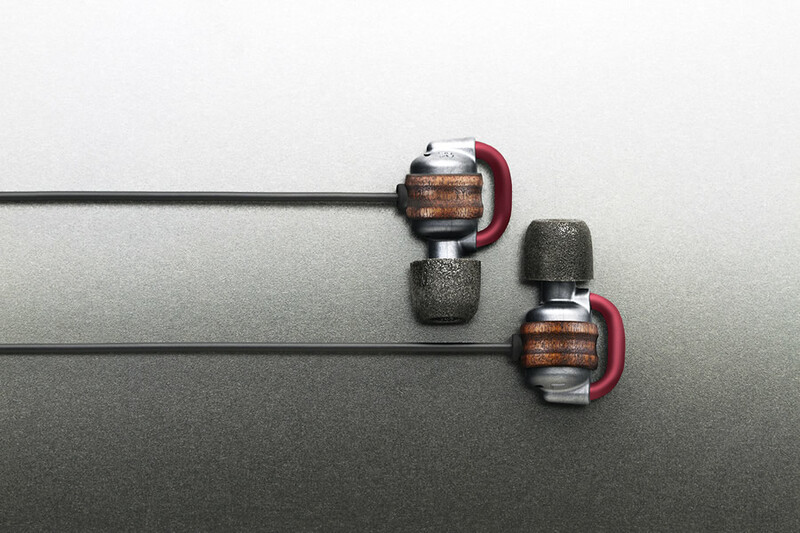 Flat4-SAKURA Balance, for a standers ear canal length and Flat4-AKAZAKURA Balance for longer ear canal length. Collaboration between Oak village’s finest craftsmanship and Ocharaku’s sound engineering started with Donguri-KEYAKI on 2013 November. After almost 4years from the first collaboration, came the 3rd and latest series. 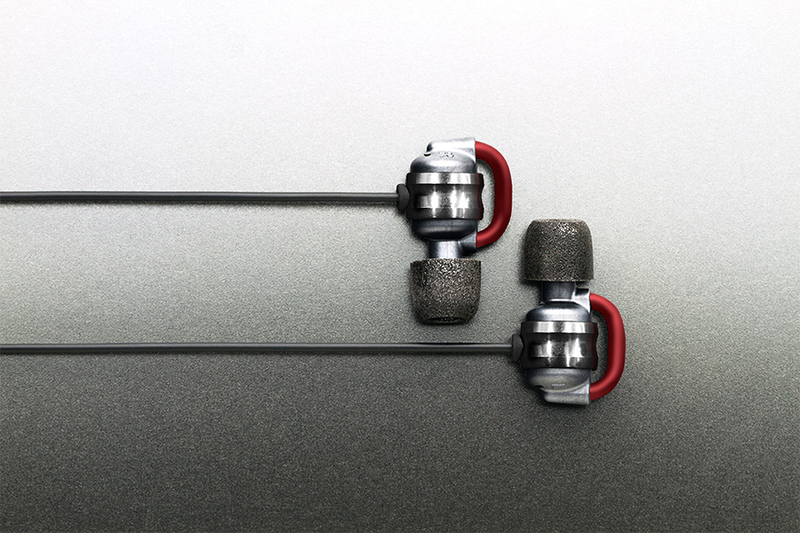 The brand-new 3rd series had renewed essential parts to achieve Supreme vocal sound ever. Solid maple wood; widely used for acoustic instrument; finish with Black Lacquer is used for rear cabinet. Carries a soft and soothing acoustic ambiance compare to other timber material such as Cypress wood and Zelkova wood. The raw lacquer; one of the most ideal natural over coat; exceptionally solidify the maple wood than any chemical over coats. Lacquer coating increases its translucent level by over time exposure to sun (UV) light, thus the timber grain starts to be more and more visible. 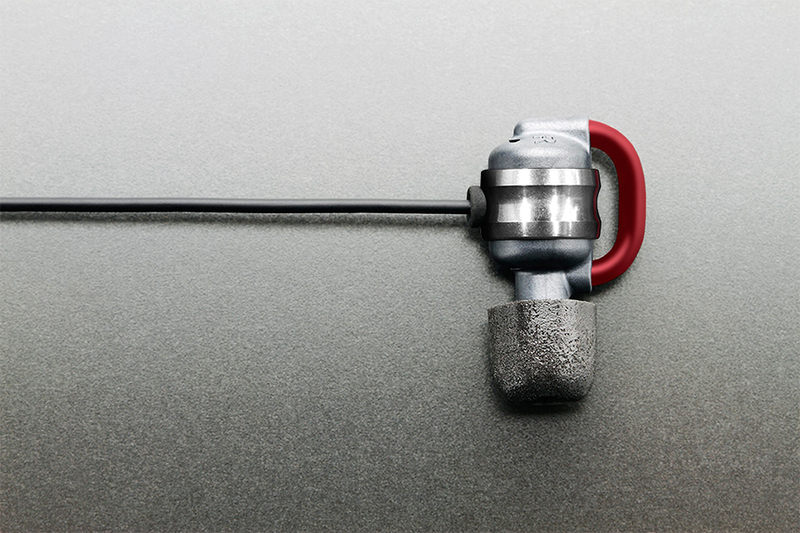 Bothe sound and visual of this product will age uniquely and specifically only in your way. 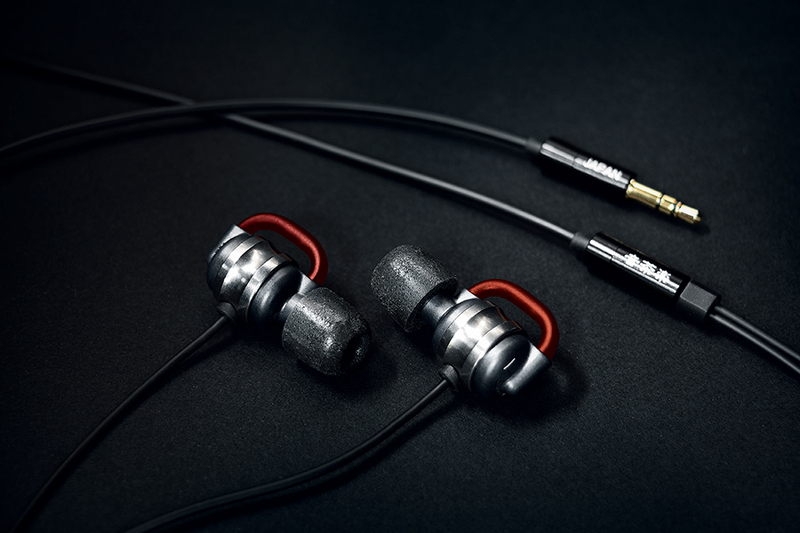 Moreover, the Tornado Equalizer’s material is superseded from the current Polypropylene to acoustically prominent Liquid Crystal Polymer to significantly improve the finest sound reverberation. 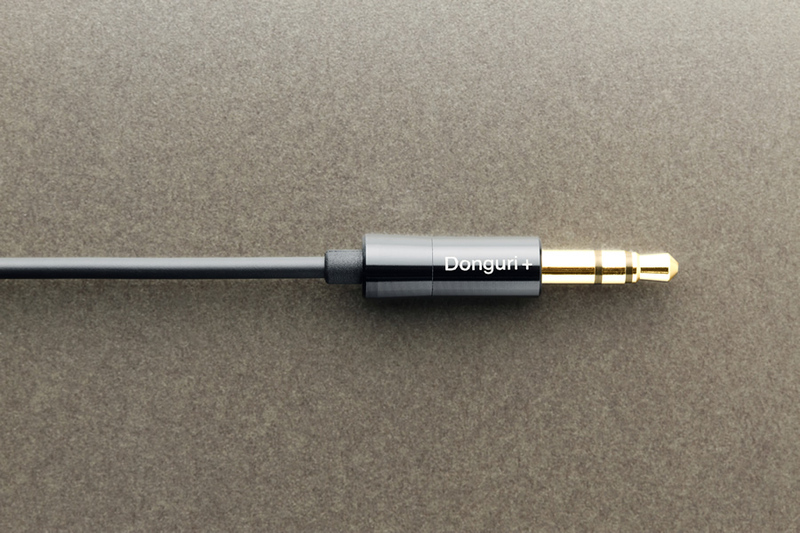 Donguri-KAEDE is with Φ3.5㎜ mini plug, Donguri-KAEDE Balance is with Φ4.4㎜ ５-pole balanced plug. 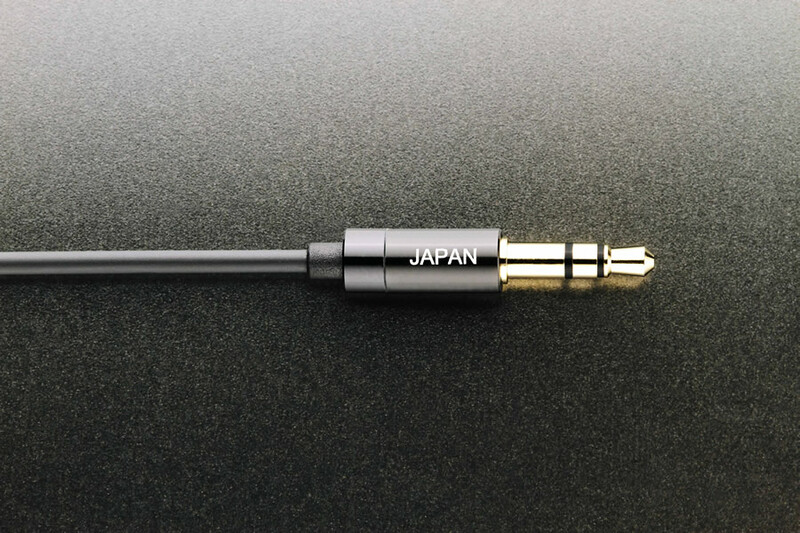 Donguri-KAEDE Balance had adopted the ultimate connectivity Nippon DICS Φ4.4㎜ ５-pole Pentaconn plug with premium type gold plated non-oxidized copper. Maple wood’s soft and smooth sound character is greatly enhanced by exceptional balance plug quality. Ocharaku’s patented acoustic technology “Tornado Equalizer Circuit” (*1) suppresses the sound deterioration factor of resonance around 6kHz which generally occurs on canal earphones. The Acoustic Turbo Circuit flexibly controls the equivalent mass in the vibrating system. Deep bass range enhancement and sensitivity improvement in midrange is achieved by lower f0. 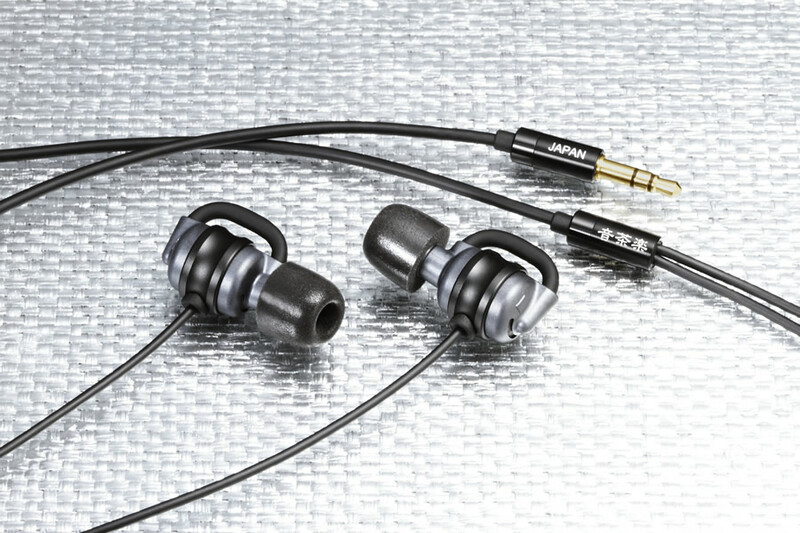 Adopting single element compact structure and yet able to smoothly reproduces from ultra-low to ultra-high tone ranges. Improvement on sound leakage; highly sound insulated. (Comparison to Flat4 series). 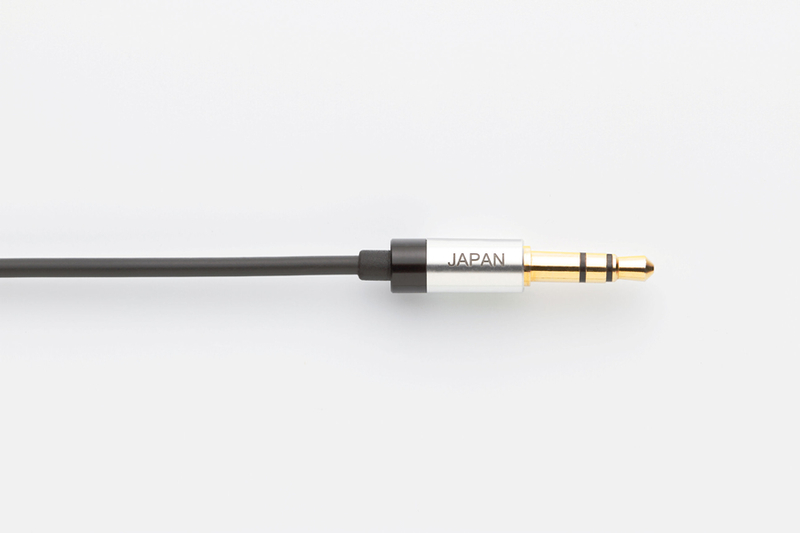 Quadruple conductor cable with plug for more distinguish sound character for both side. 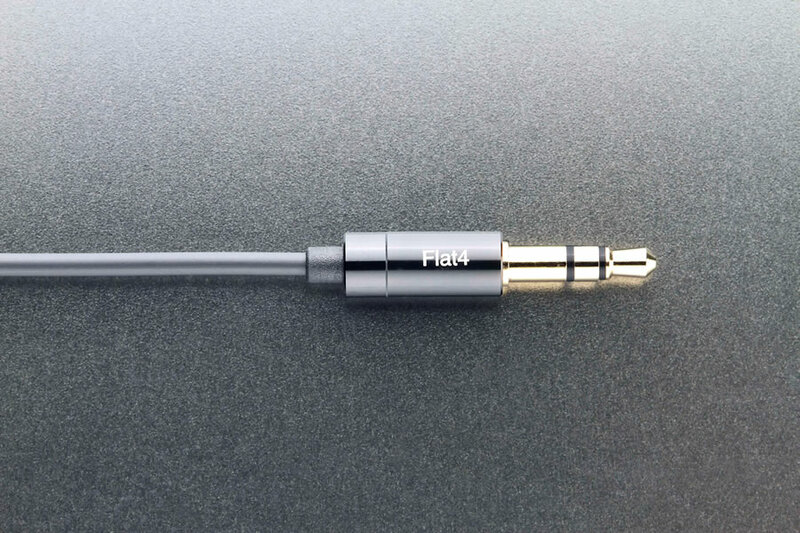 When using silicon ear tips: improvement on high frequency over 10kHz for a crisp and clear sound. When using Comply foam Ts-200 ear tips: Great improvement on sound insulated. 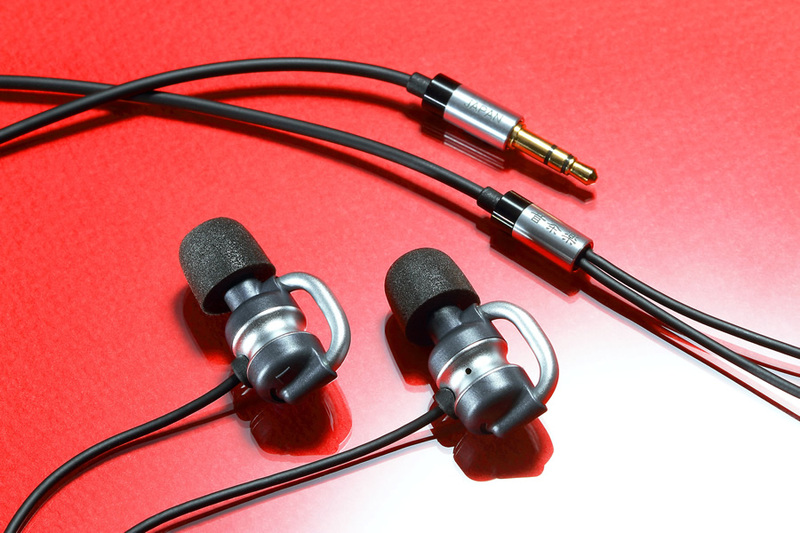 Tangential-less Diaphragm gives clean middle to high register sound with less distortion. Powerful Neodymium magnet; Maximum Energy Product of 366kJ/m3(46MGOe). Liquid Crystal Polymer Frame & Protector suppresses leakage magnetic flux and configure a powerful magnetic circuits. Specific CCAW lines are employed for voice coils to sustain a high input up to 200mW. Attached with Nippon DICS Company’s Φ4.4mm 5-pole Pentaconn plug for a ultimate transmission; using the premium range gold plated non-oxidized copper for metal parts. 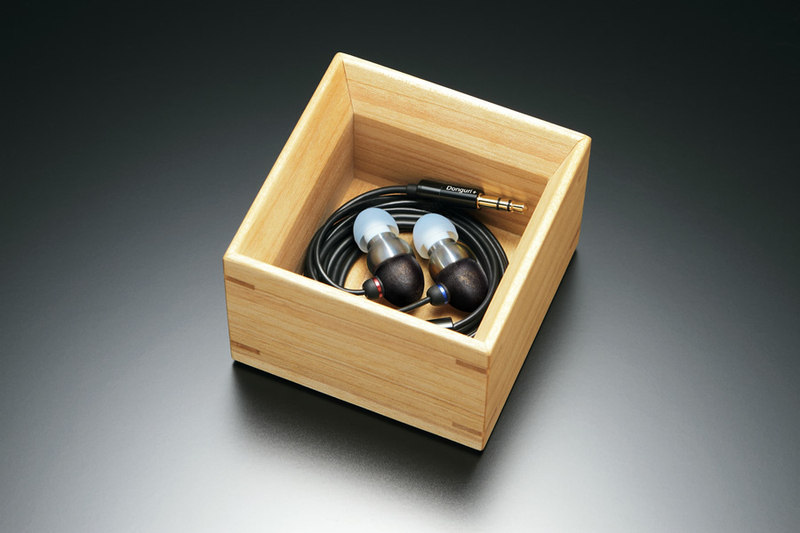 Balanced connection with high spec plug enhances the unique and beautiful resound of Japanese Zelkova. The latest collaboration of Oak village’s timber craftsmanship and Ocharaku’s finest sound engineering; The most crystal clear sound among Flat4 series. 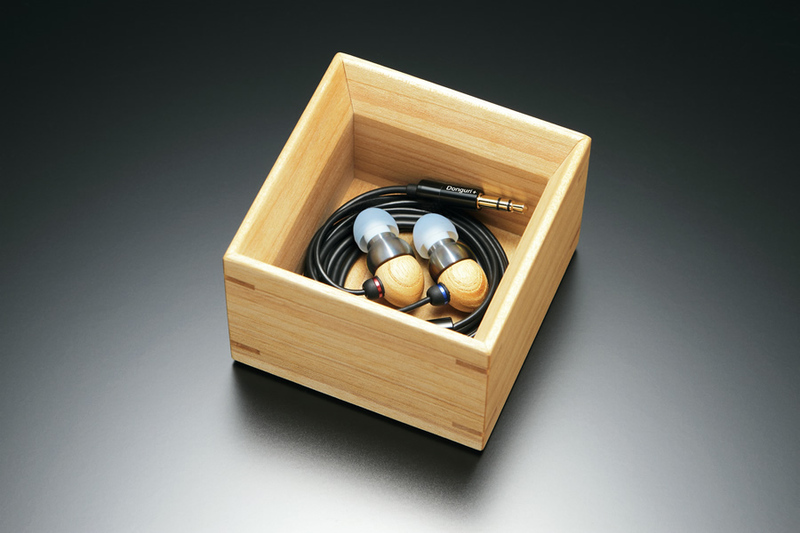 Center cabinet is made of Japanese Zelkova; has the highest value of sound transmission　among all wood materials; coated with natural raw lacquer. The raw lacquer; one of the most ideal natural over coat; exceptionally solidify the Japanese Zelkova wood than any chemical over coats. Over time, by exposure to sun (UV) light, lacquer coat increases its translucent level thus the timber grain starts to be more and more visible. 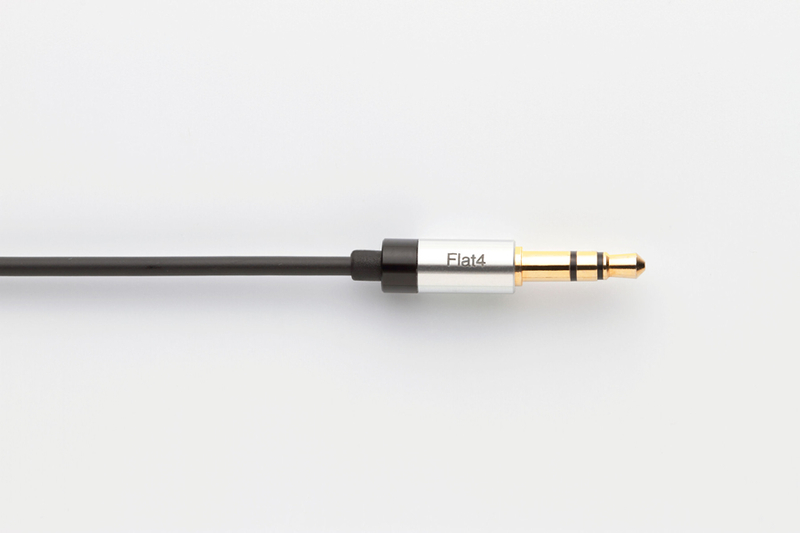 Flat4-KEYAKI Plus, for a standers ear canal length and Flat4-AKAKETAKI Plus for longer ear canal length. The raw lacquer; one of the most ideal natural over coat; exceptionally solidify the applied wood than any chemical over coats. 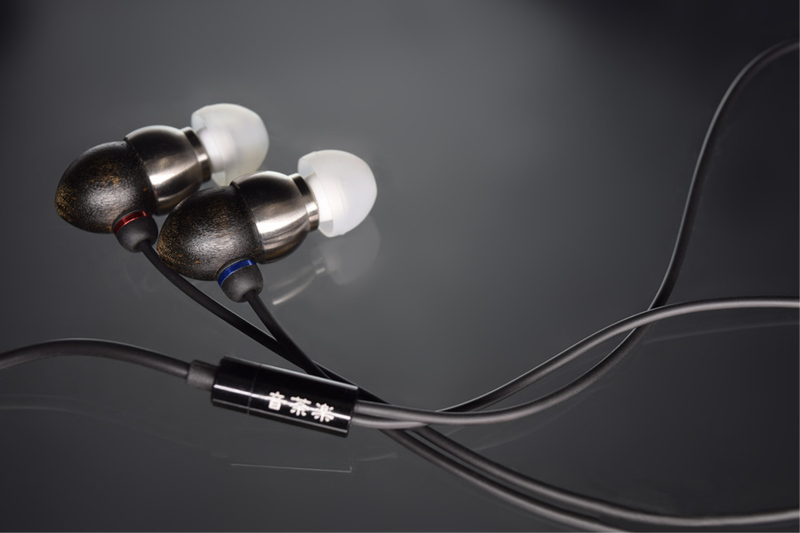 FURUTECH Co. Non-magnetic Pure copper Rhodium plated 3-pole stereo mini plug. Assuring higher quality and crystal clear sound. Flat4-KEYAKI Plus, AKAKEYAKI Plus NEW! 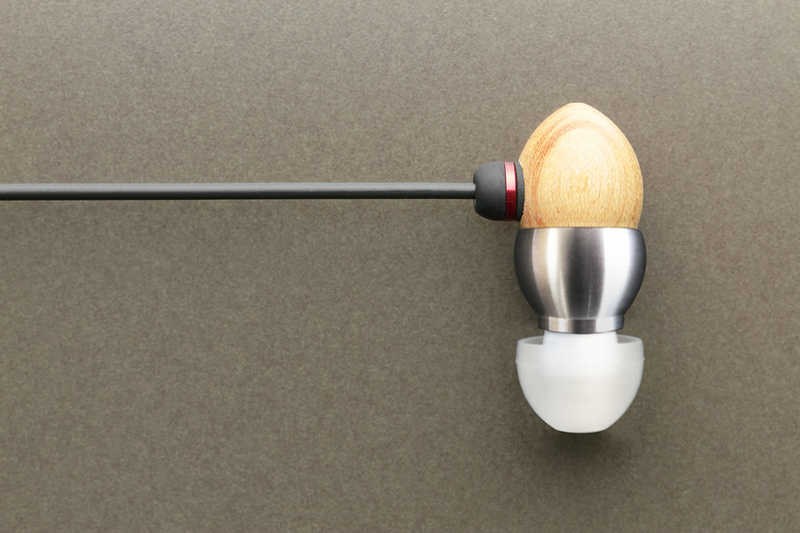 Plays the slightest lingering sound with an expending spatial sound. Acoustically improved version of Flat4-SUI; the origin of all Flat4 since 2012 is here. 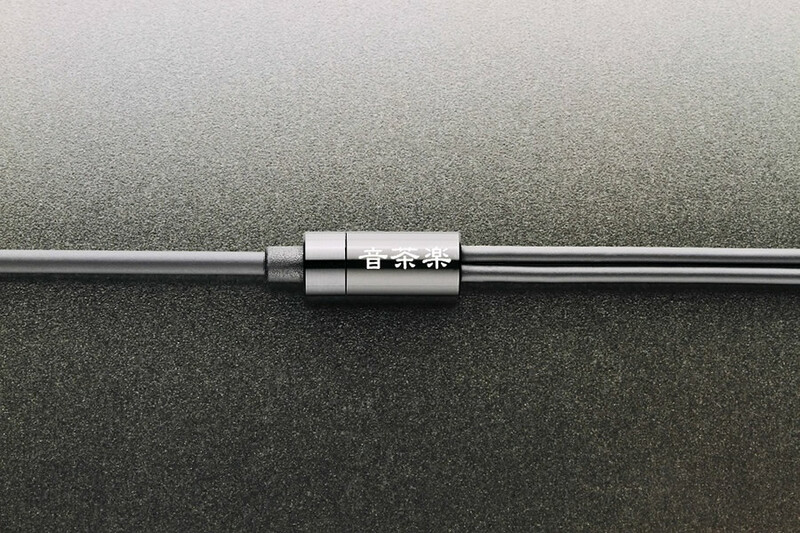 The slightest lingering sound is more audible than ever by Vibe-resist coated Phase adjustor tube. 010F002 Φ10mm Dynamic type is adopted for element. Copper plated yoke and plate to reduces magnetic distortion. The aluminum center cabinet suppresses unwanted reflecting noise within. 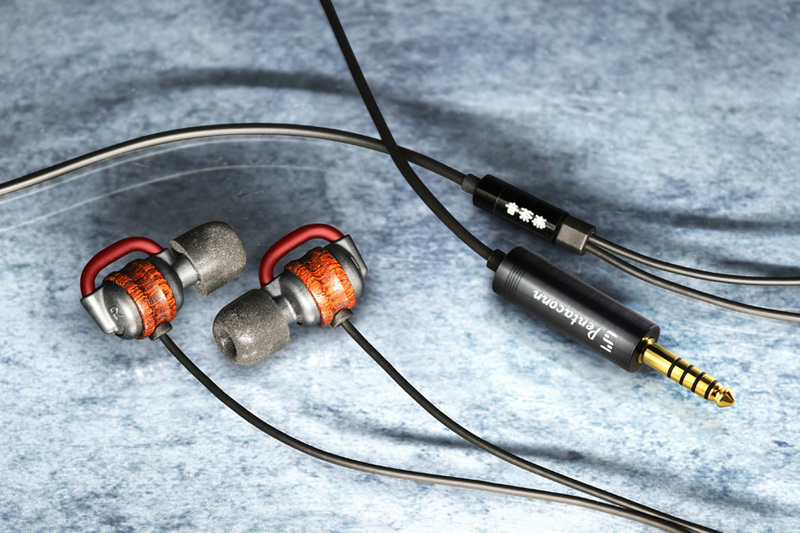 Flat4-SUI Plus had the most balanced and gentle sound character among Flat4 series. 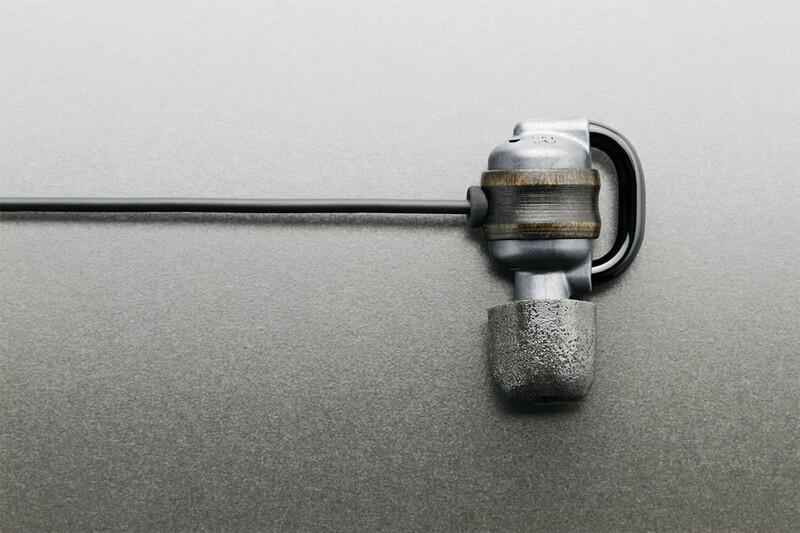 Our patented technology minimizes sound deterioration caused by "occluded ear canal resonate vibrate" and the first in world to clarify sound base point by horizontally face-to-face placed elements. 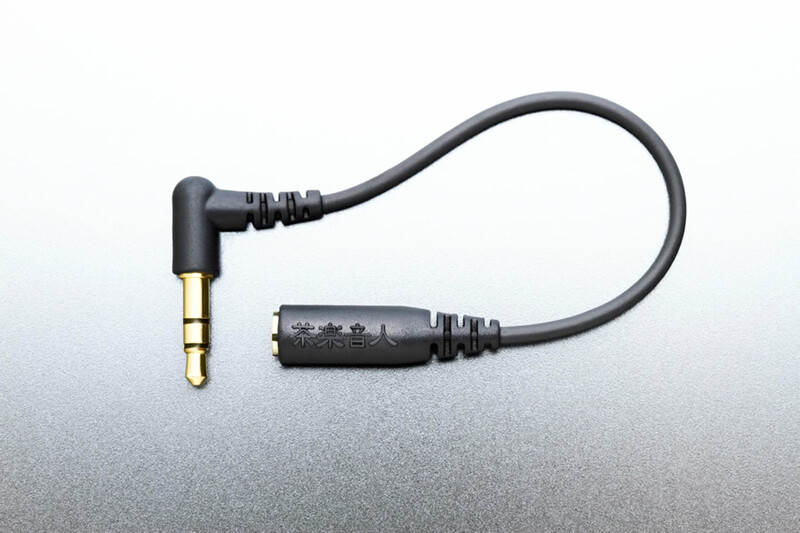 ＊Quadruple conductor cable with plug for more distinguish sound character for both side. Flat4-玄 Ti Plus,緋 Ti Plus　NEW! Cristal clearly plays the slightest lingering sound. Individually crafted with upmost quality care; all processed in Japan. 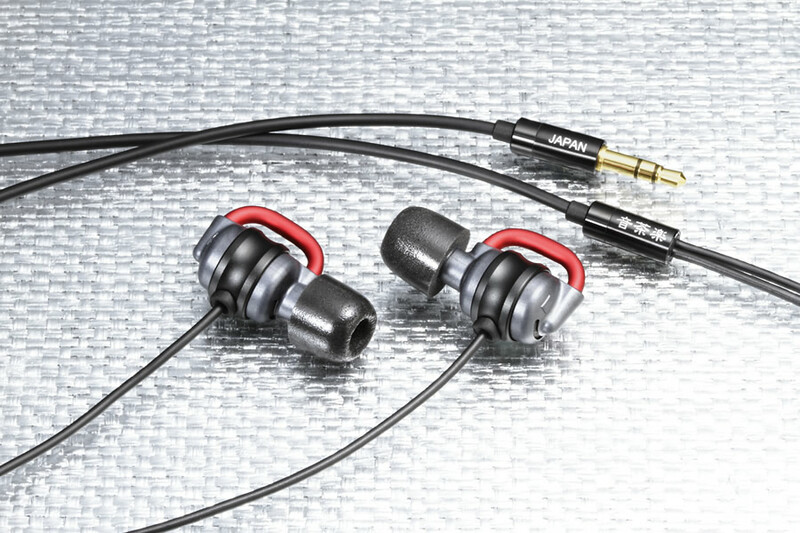 play crisp sound from low to high range with minimal incidental noise. Titanium also has lower conductivity among metals. Titanium cabinet able to suppress reflection of magnetic field created by voice-coil, thus enabling diaphragm to vibrate more accurately. Smoothest sound continuity from the deepest bass to highest treble are achieved by carefully adjusting every sound effective parts to its upmost compatibility with Titanium. 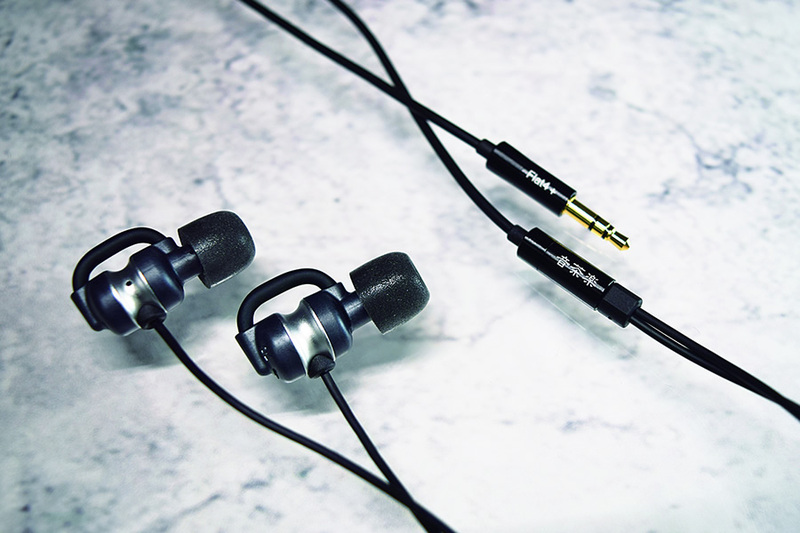 Flat4-KURO Ti Plus and Flat4-AKA Ti Plus are the most powerful and crystal crisp sound among Flat4 series. 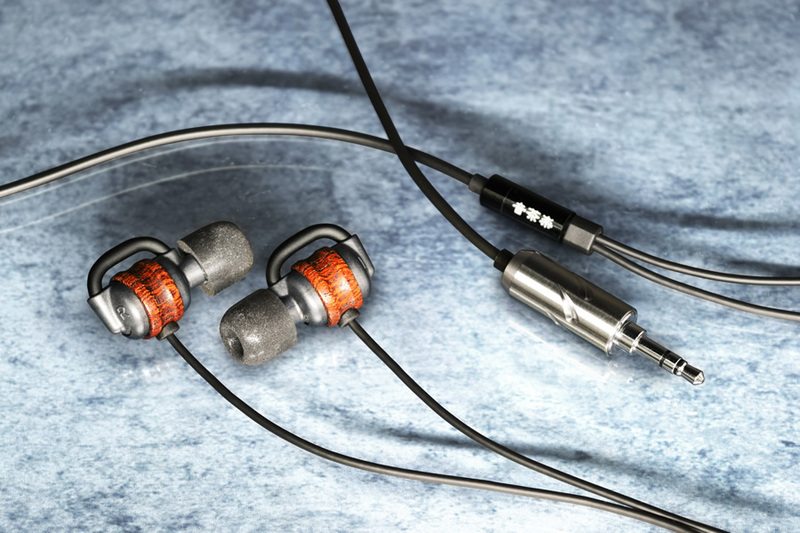 The closer your acoustic canal length and the phase correction tube length, the better sound. 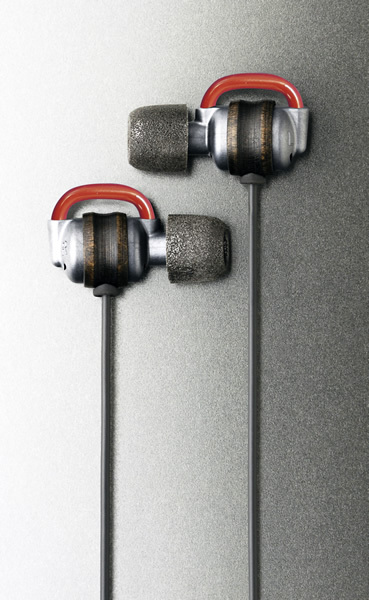 Use one of which you can hear the best! 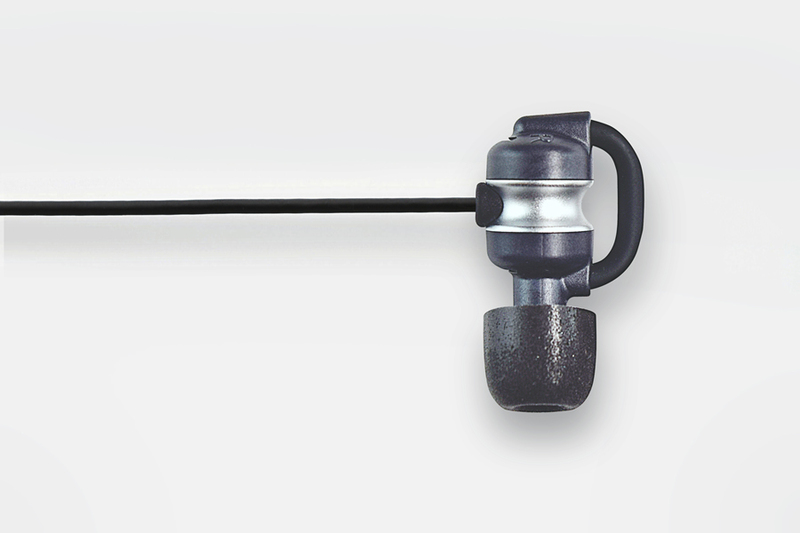 the face-to-faced element cancel out unwanted occurring vibration by “counter-vibration” to maximize deepest bass beyond Closed dynamic types. 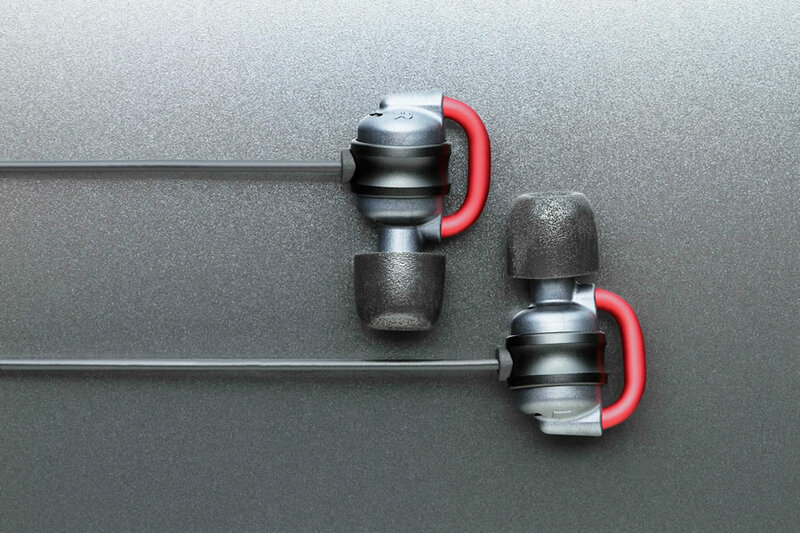 by driving two elements simultaneously increases sound pressure sensitivity from low to mid sound register. Phase adjustor tube eliminates occluded ear canal resonate vibration and significantly improve middle to higher register. 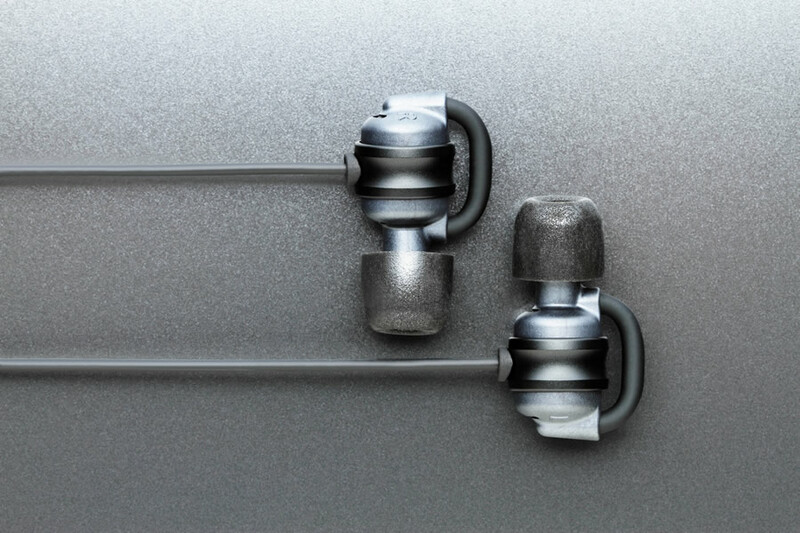 Minimizing acoustic resistance and adopting smaller element to drastically enhance the highest register creating sound expansion of Open air type. 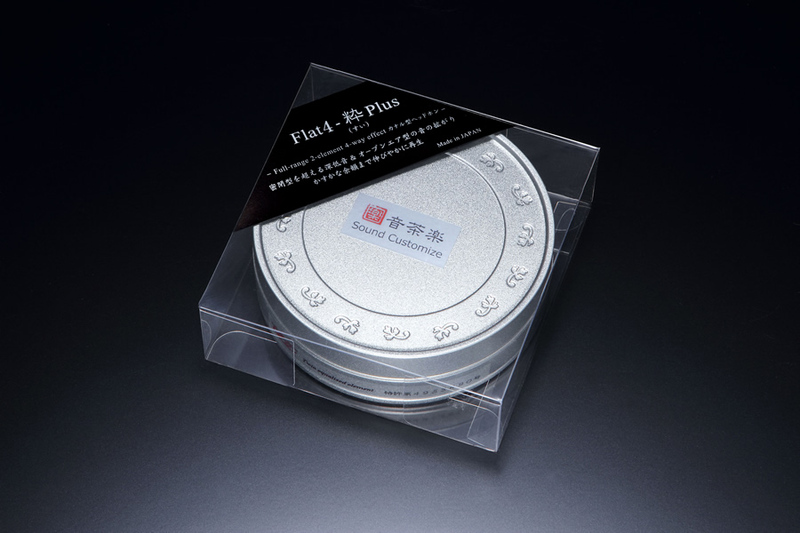 Flat4-緋Ti Plus (AKA Ti Plus)　NEW! Applying iron plat on yoke and plate to reduce magnetic distortion. Design and specifications are subject to change for improvement. Plays the slightest lingering sound with a gentle touch. Flat4-SAKURA Plus and AKAZAKURA Plus are the latest collaboration of Oak village’s timber craftsmanship and Ocharaku’s finest sound engineering. 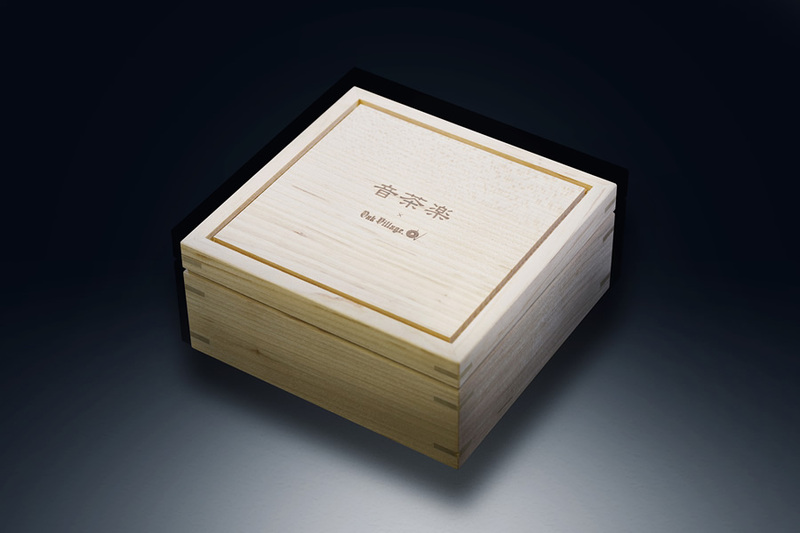 Wild Sakura wood from the forest of Hida-Takayama is specially selected and used for canter cabinet to enhance a fine and delicate resonance. Each pieces are handcrafted to a perfection and coated with natural raw lacquer. The raw lacquer extracted from Japanese sumac; one of the most ideal natural over coat; exceptionally solidify the wild Sakura wood than any chemical over coats. Flat4-SAKURA Plus and AKAZAKURA Plus will age both sound and visual only in your way. Smoothest sound continuity from the deepest bass to highest treble are achieved by carefully adjusting every sound effective parts to its upmost compatibility with Wild Sakura timber. 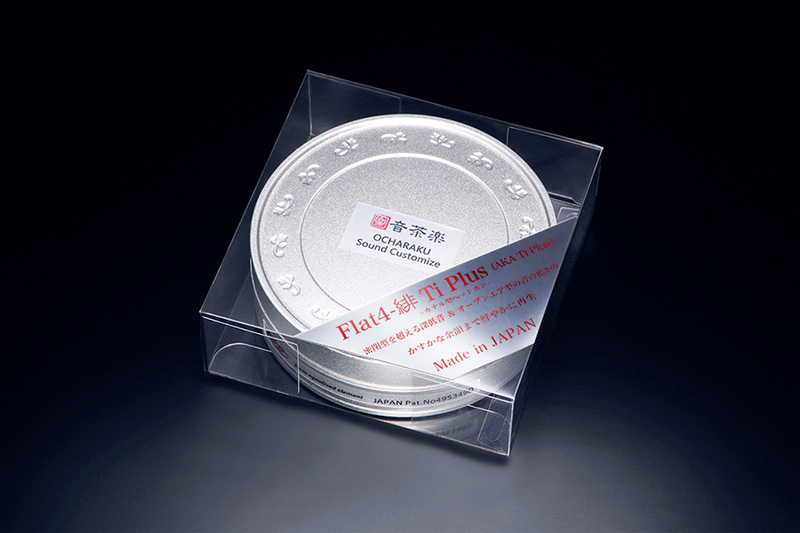 Flat4-SAKURA Plus and AKAZAKURA Plus had the most warm, fine and sensitive sound character among Flat4 series. 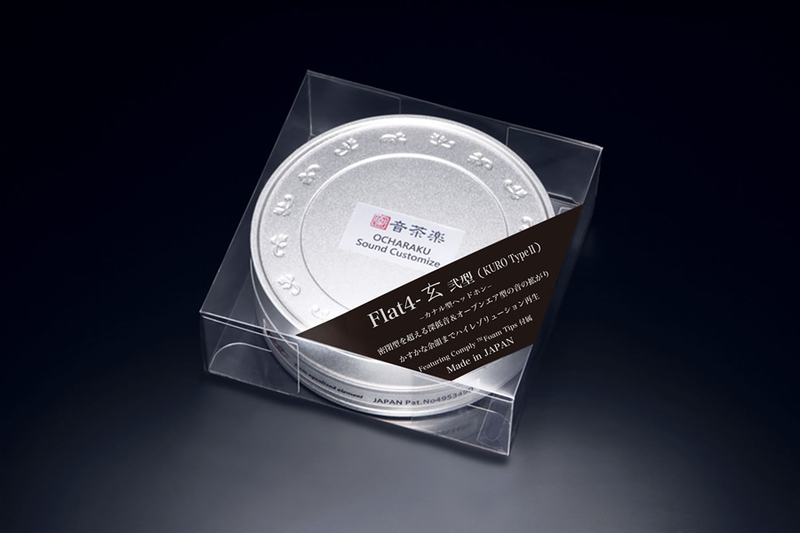 Flat4-SAKURA Plus, AKAZAKURA Plus　NEW! 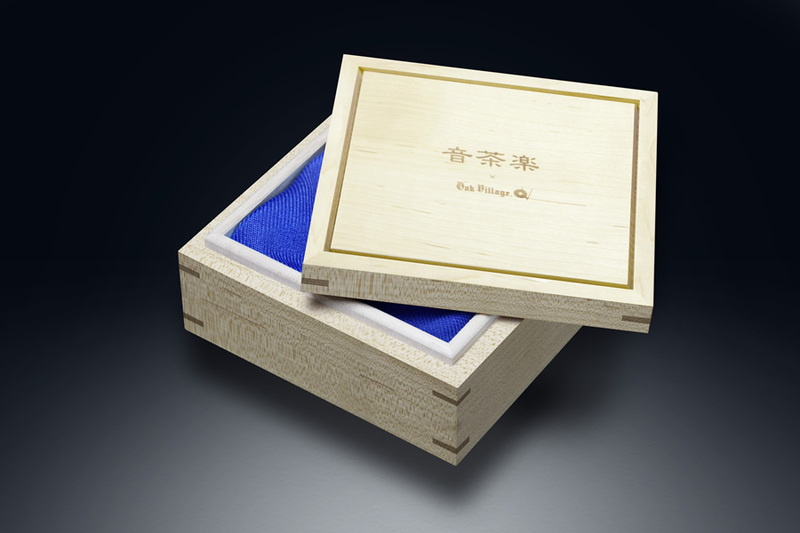 Acoustically ideal PURE titanium is used for front cabinet and　Japanese Zelkova core; has the highest value of sound transmission　among all wood material; is used for rear cabinet. With brand new 10e005 driver unit and liquid Crystal Polymer Frame & Protector reduce the unnecessary vibration. Improvement on sound leakage; highly sound insulated. (Comparison to Flat4 series) . Powerful Neodymium magnet; Maximum Energy Product of 366kJ/m3(46MGOe) . Donguri-KEYAKI Ti Plus Dual: Pre-sale at Ocharaku booth at Portable Audio Laboratory event sponsored by Fujiya-Avic; on Feb 18th 2017′; Sales will be followed at Ocharaku stores. The length of acoustic canal individually differs. According to our research result of trial audition and questionnaire for more than 100 to 150 people attended at the event of the headphone festival, many people have longer acoustic canal than we had assumed. 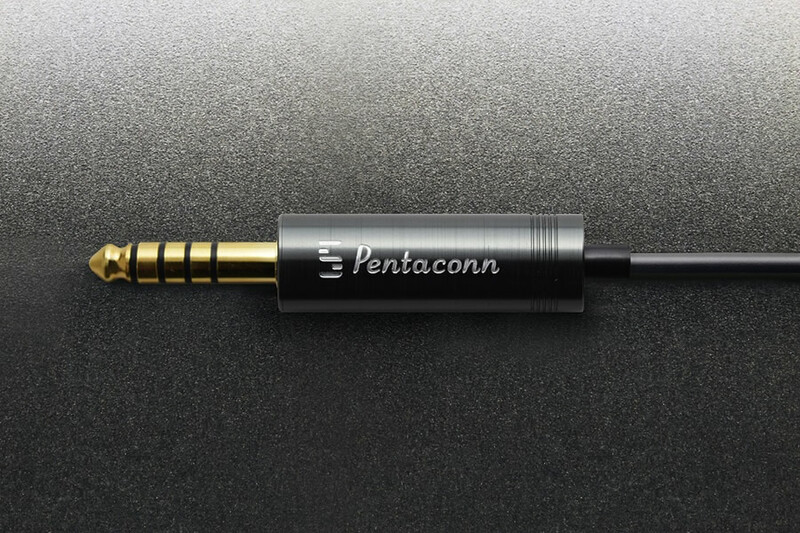 Better sound quality can be obtained if the length of acoustic canal of the user and that of the phase correction tube are adjusted. 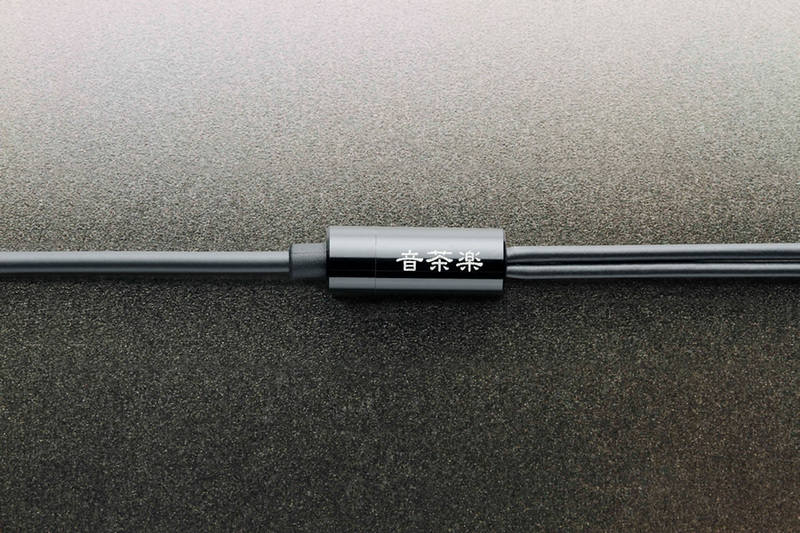 Therefore, we developed a model with longer phase correction tube. Type II coating, which has higher vibration-proof coating for phase correction tube enables playback of excessively fine reverberation of sound. 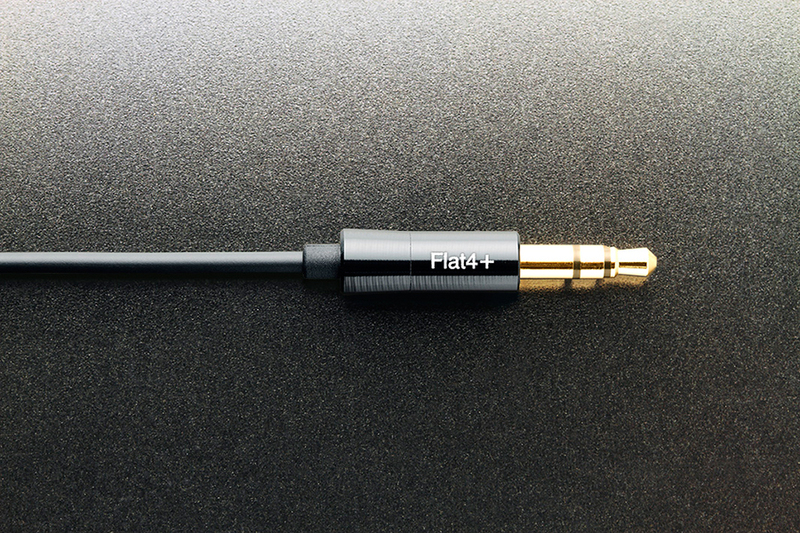 Flat4 (KURO Type II) is for a standard acoustic canal length, and Flat4 (AKA Type II) for longer acoustic canal. We are proud of these two products. L-shape connection code, which is useful to connect small DAP, is also attached. 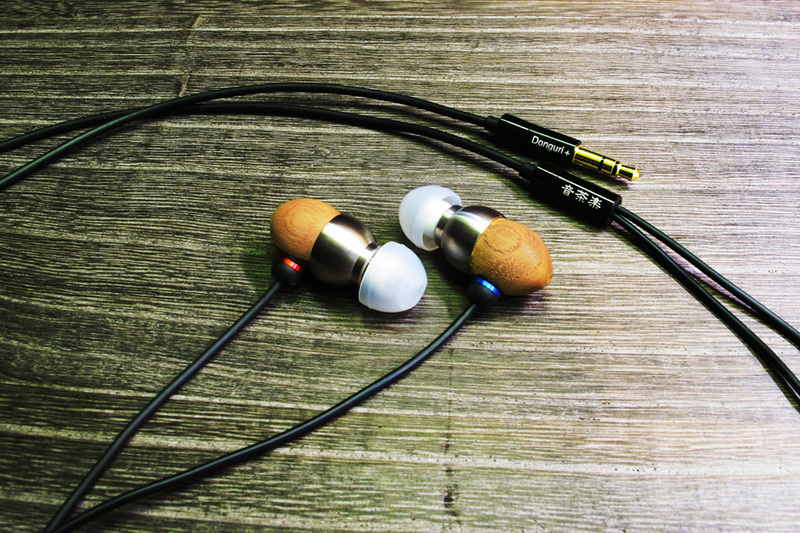 If the acoustic canal is closed by wearing a canal-type headphone, resonance is occurred depending on the acoustic canal length and the acoustic pressure is elevated. Accordingly, intense peak will be generated. The phase correction tube has the mechanism to eliminate the relevant peak. In Flat4-粋 and Flat4-玄, the effective length of the phase correction tune is 28 mm. 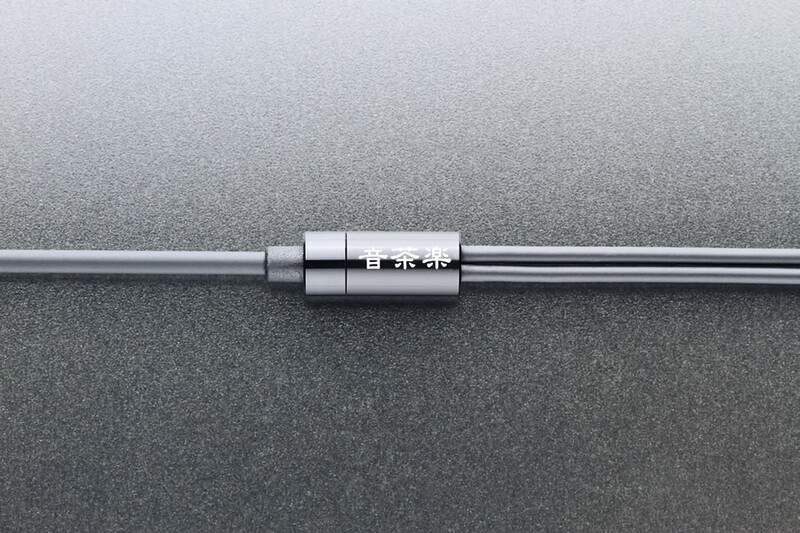 The effective length of the phase correction tube of the Flat4 (AKA Type II) is 30 mm. 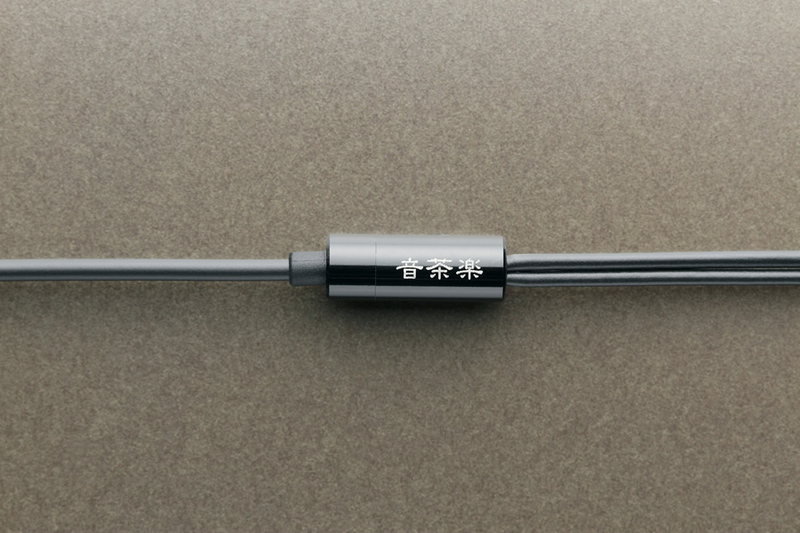 In Flat4 (KURO Type II), the effective length of the relevant tube is 28 mm the same as conventional two types. The closer your acoustic canal length and the phase correction tube length, the better sound. Use one of which you can hear the best! 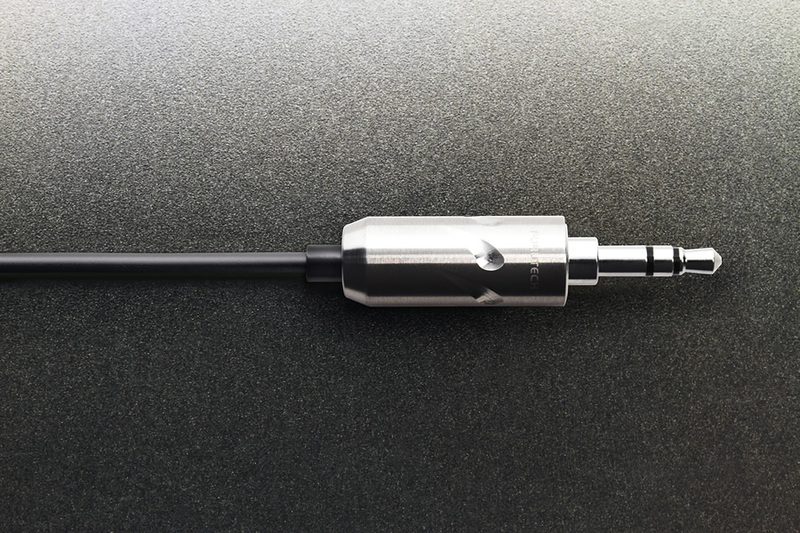 In our patent technology, masking in high-tone range due to acoustic canal closed resonance is avoided, and the reference point of sound was clearly defined first in the world by horizontally opposed alignment of elements. 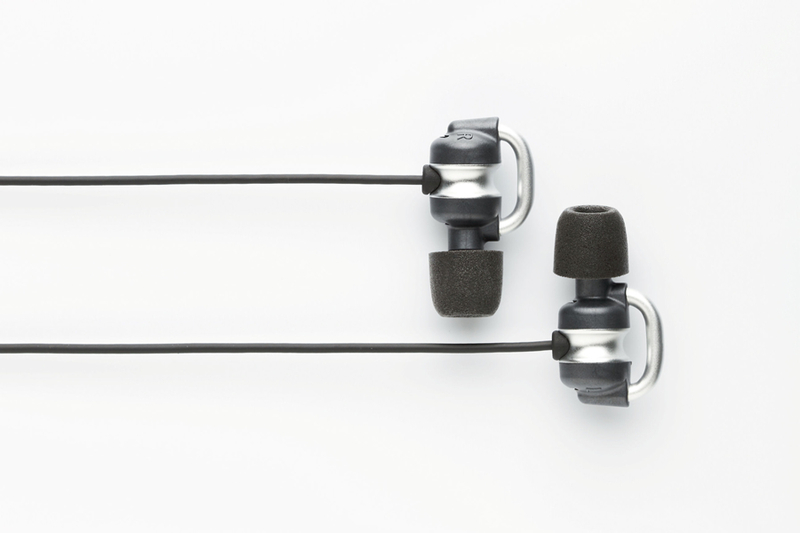 Flat4 configuration and comply-form ear tips reduce touch noises. 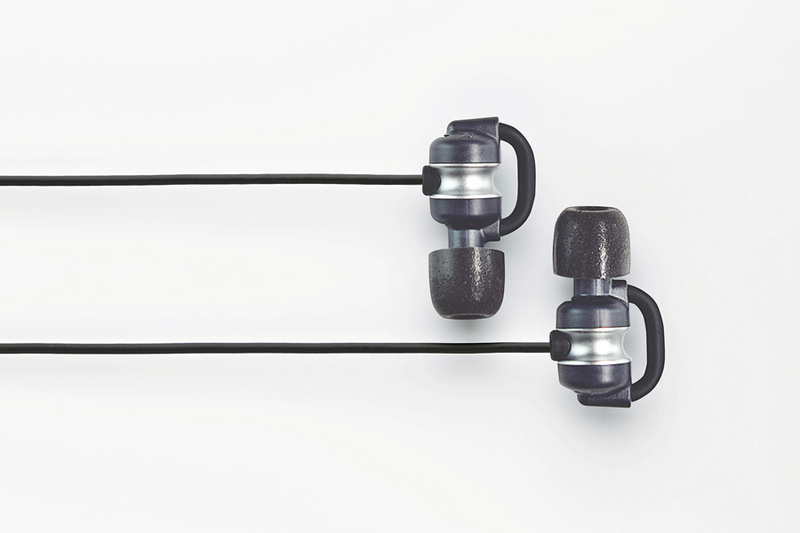 Tangential-less diaphragm realizes clear middle and high frequency sound with less distortion. Strong neodymium magnets of max. energy integral 400 kJ/m3(50MGOe) configures rigid magnetic circuits together with electromagnetic pure iron employed for plates and yoke. No prints are used on the display area. The display cannot be erased by laser marking. Specific CCAW lines are employed for voice coils to realize high anti-resist input of 400mW. Liquid crystal polymer is used for the cabinet to realize clear sound and echo. For improvement purposes, the specification and appearance may be changed without any prior notice. Full-range 2-element 4-way effect　effect canal-type headphonesUltra low frequency sound & wide sound propagation overwhelm closed types. Placement of opposed elements reduces mechanical vibration due to anti-resonance. 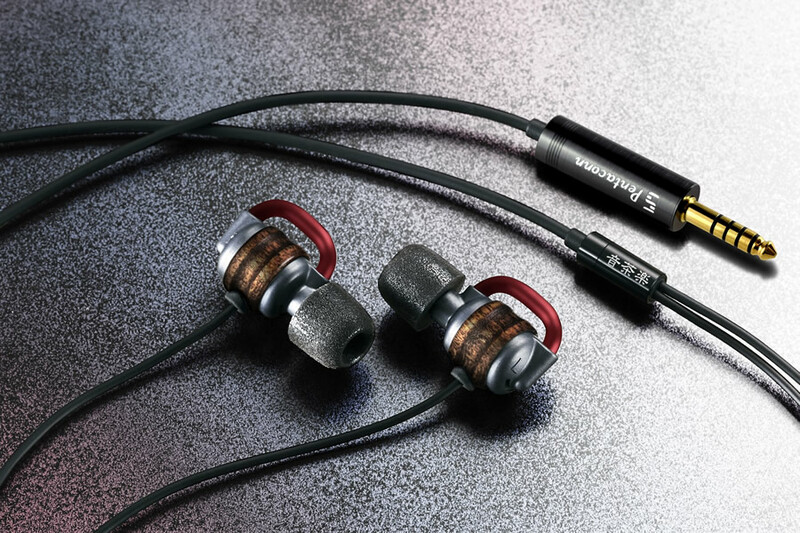 Twin element parallel drive improves sound pressure sensitivity of low to middle frequency sound. 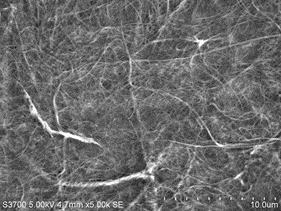 External auditory meatus tuningTM technology using phase correction tubes dramatically improves middle frequency sound. Deletion of acoustic resistance and employment of small elements dynamically enhances ultra-high frequency sound and realizes wide sound propagation. 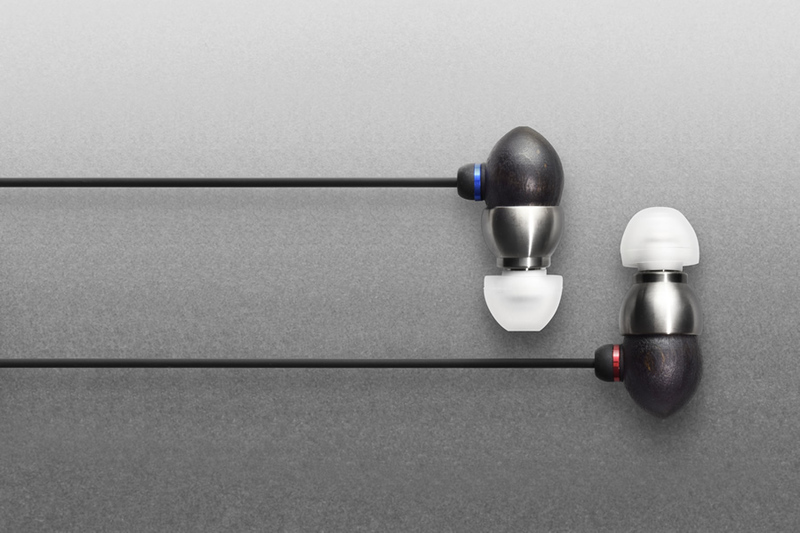 Flat4 configuration and ComplyTM foam ear tips reduce touch noises. All parts are not painted to keep clean appearance. Copyright©2019 OCHARAKU. All Rights Reserved.